New Democrats Bringing Anti-Semitism And Hatred Of Israel With Them. 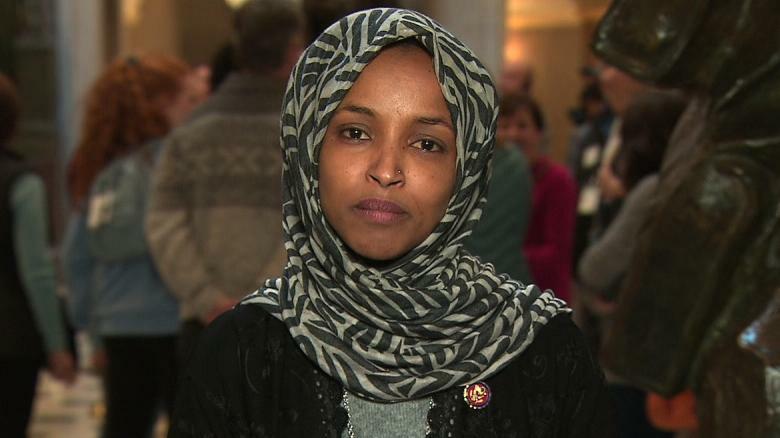 The last two days I have written, I did not write on Saturday, on our two new representatives, Ilhan Omar, and Rashida Tlaib, both are Muslim Congresswomen, one is Somalian, the other brings her “Palestinian” American racism with her as well. They are now splitting the DNC with their rabid anti-Semitism and hatred of Israel. Rashida has never hid her hatred of Israel and the Jews, but Ilhan ran telling the Jews that she did not support BDS, then the day she took the oath of office did a roundabout and changed her stance to supporting BDS. I am not sure why Jewish people in Minnesota were surprised, it is not like she had hid this in the past, just made promises needed to pull off the election, then showed her true face. The movement, BDS, launched more than a decade ago and modeled on the 1960s movement to pressure South Africa over apartheid, calls for people and groups to sever economic, cultural and academic ties to Israel, and to support sanctions against the Jewish state. The supporters claim there is apartheid in the land, and there is, but it is not with Israel, Israel allows free voting of their Arabs, they allow them to serve in the Knesset, on the Supreme Court, to access the same courts. In the Disputed areas, such as Judea and Samaria, or the West Bank, the people did vote, the fact that Abbas is in year 14 of his 4 year term, that is not by Israel’s hand, it is by the leaders the Arabs there voted into power. In Gaza they voted with over 97% turn out, they voted overwhelmingly with international observers, including our ex-President Carter, to keep Hamas in power, the frequency of the elections is not on Israel, rather the Arab leadership, but facts matter not to these people. In regard to the claims of apartheid, suggest you look to the article IS ISRAEL AN APARTHEID STATE? This puts this question to rest, there is apartheid, but only in the Arab controlled area’s where they demand to be Jew-free. Back to the subject of BDS, for Israel partisans — including many Democrats and Republicans in Congress — BDS smacks of anti-Semitism and poses a threat to Israel. What we see is as President Trump has moved to strengthen even more our ties to Israel, we have a movement that is threatening to split the younger Democrats from the more older established ones in regards to Israel. Many on the left are ignorant to the facts; they like the far right fringes share their hatred of all things Jewish, thus turn their hate towards Israel and the Jews. Facts don’t matter, all they see are victims and perpetrators, the fact that the victims bring this on themselves by firing over 17,000 rockets and mortars, stabbing, car ramming, and suicide bombings does not matter to these people. This schism has left the left vulnerable to charges of Anti-Semitism. To fight that, prominent party members formed the Democratic Majority for Israel in January , touting themselves as “The Voice of Pro-Israel Democrats,” which for some came across as a rebuke of Omar and Tlaib.